CAPE TOWN - President Cyril Ramaphosa has acknowledged revelations around state capture will hurt the African National Congress (ANC) at the polls come 8 May. But Ramaphosa said on Friday although the truth hurts, it was important to reveal what went wrong in government and the party. The president electioneered on the Cape Flats on Friday morning. As the ANC's national head of elections Fikile Mbalula testified before the state capture commission, the party president was walking the streets of Delft. 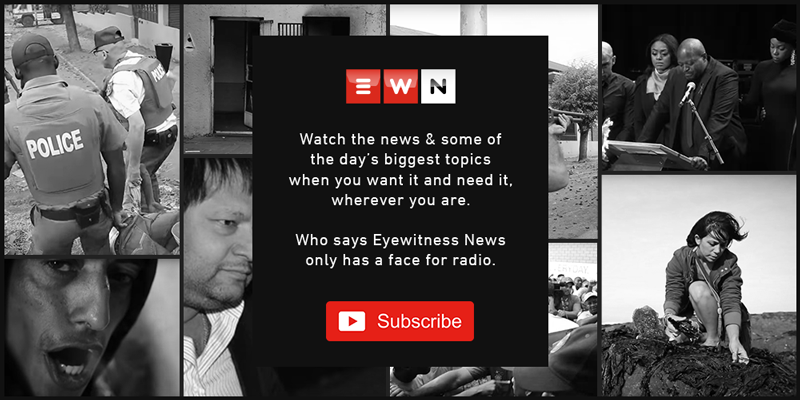 Ramaphosa told Eyewitness News the truth sometimes hurts, but it was necessary to get it all out in order to fix what was wrong. He said the ANC had humbled itself and was committed to revealing the extent of the corruption and wrongdoing. Ramaphosa said those found guilty will face the full might of the law. Ramaphosa said there were now more coloured voters interested in voting for the ANC. The president said government had given specific attention to issues affecting coloured communities, like crime and unemployment. He believes coloured voters have grown a bigger love for the ANC. Ramaphosa said concerns raised by the coloured communities were that of crime and unemployment. On Saturday, Ramaphosa will be in the West Coast to address land and farm worker issues of mostly coloured communities.